Red flag on Ghost Gear. 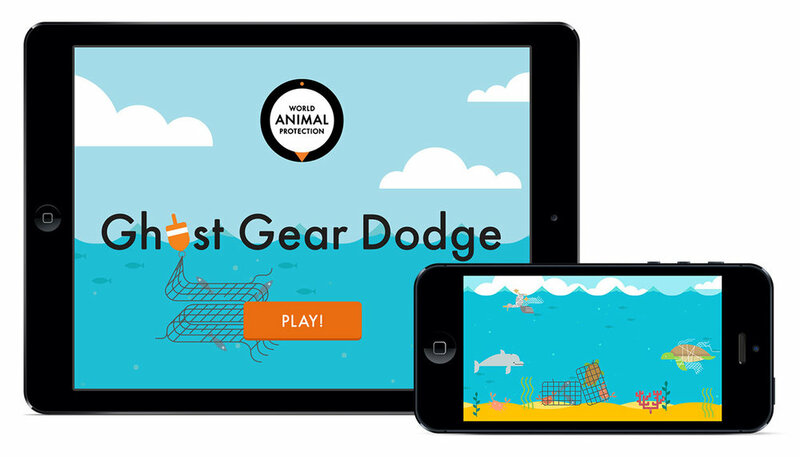 Bajibot worked closely with the World Animal Protection to create content to raise awareness of ghost gear and the Sea Change campaign to end it. 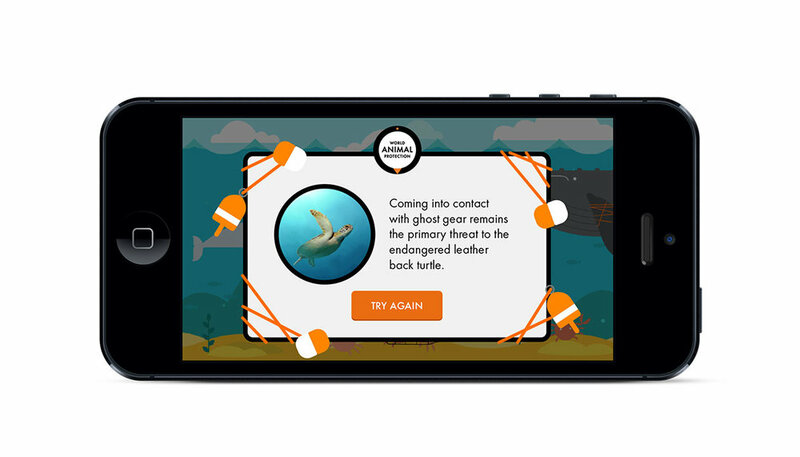 The GHOST GEAR DODGE game includes stats about the ghost gear problem, which are shown during the game when the dolphin collides with ghost gear. Players are encouraged to share the game and join the Sea Change movement as well as donate to help World Animal Protection reduce and remove ghost gear and rescue entangled animals.